Orders Over $124 Ship FREE! Home>Orders Over $124 Ship FREE! Free Shipping Sale!! Orders over $124.00* Ship FREE Via UPS Ground! 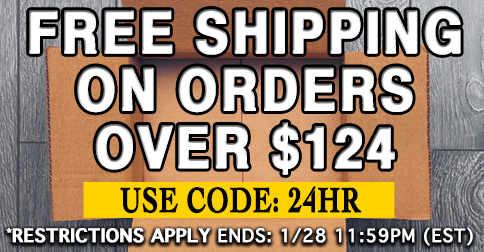 Use coupon code 24HR at checkout and get FREE UPS Ground Shipping on orders over $124.00! TAKE ADVANTAGE OF THIS FREE SHIPPING SALE WHILE IT LASTS! For example; Spend anything over $124.00 on items MARKED ELIGIBLE FOR FREE SHIPPING (see example below) and get FREE Ground Shipping on your order. A minimum purchase of $124.00 is required for the coupon to apply. Restrictions Apply*. See below for complete details. Promotion valid 01-23-19 9:00am EST. to 01-28-19 at 11:59pm EST. Coupon expires 01/28/19 at 11:59pm EST. Coupons can not be combined or used with any other offers, promotions, or coupons. For Free Ground Shipping offer to apply the order total must be $124.00 or greater. This offer applies only to standard ground shipments within the contiguous United States. 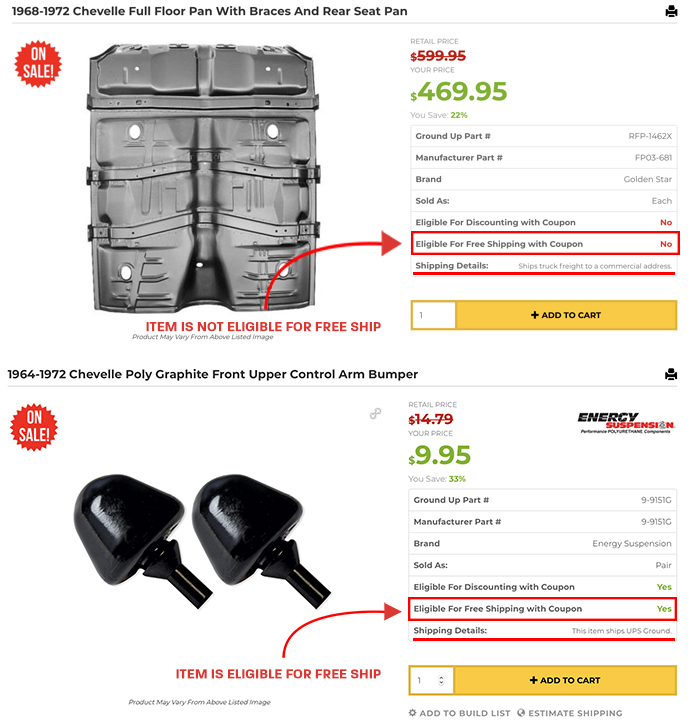 Free shipping only applies to items marked as Part eligible for free shipping: Yes (Discounting information can be found on the product description page for all parts). SEE EXAMPLE BELOW. 24HR coupon codes valid until 01-28-19 at 11:59pm EST!